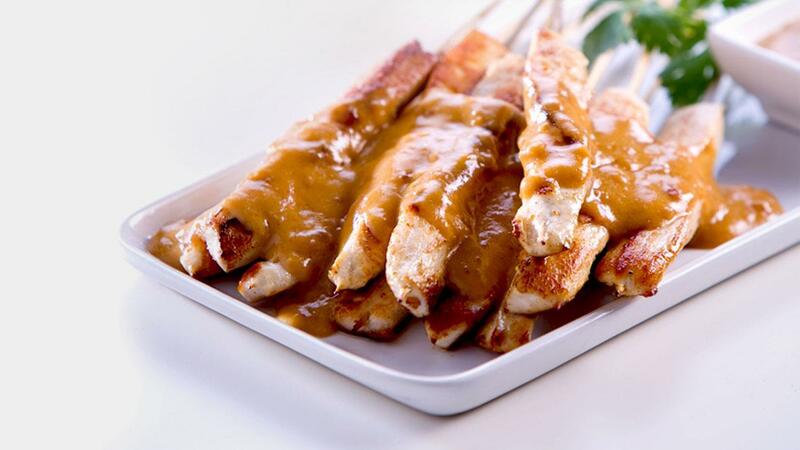 Creamy chicken satay on a bed of fluffy rice is always a crowd pleaser. For some extra spice, add some chopped chilli to your satay sauce. Thread the chicken fillet pieces on the skewers and coat the chicken in a little oil and cook through on a hot plate or char-grill. Heat the KNORR Malaysian Satay Sauce GF. Serve cooked chicken skewers with the heated sauce, jasmine rice and coriander leaves.